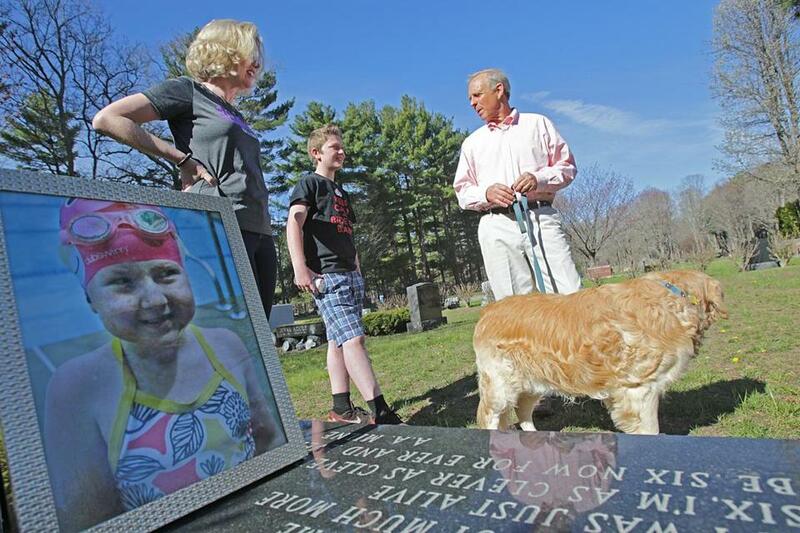 Top from left, Janet O’Shea, her son Will, and Christmas Motors president David Christmas spoke at the grave of Will’s twin sister, who died at age 6 from a rare cancer. Christmas Motors began with two brothers, one car, and a dream. But while the Christmas brothers sell cars to make a living, fighting cancer has become their life. Since 2006, the Maynard business has raised $3.5 million for the Pan-Mass Challenge, the annual bike-a-thon that helps fund research and patient care at the Dana-Farber Cancer Institute. Last year, its Team Lick Cancer, one of 200 fund-raising teams, contributed $720,000 to the PMC, placing it fifth on the top 10 list, not far behind Bain Capital and the New England Patriots. And until someone finds a cure for every variation on this disease, Team Lick Cancer, which will be honored at the PMC Heavy Hitter event Friday night at the InterContinental Hotel in Boston, will just keep pedaling. The business was started in 1974 by David and another Christmas brother, Bob, on the front lawn of their family’s home in Acton. 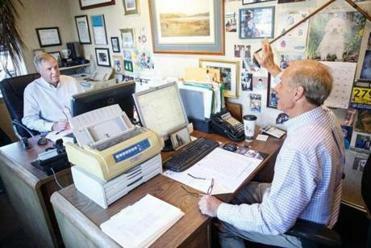 David, a high school athlete who, at 61, still holds the batting record at Acton-Boxborough High School, had finished two years at Framingham State College, and was working at a service station and driving cars for an auto wholesaler. Bob had graduated from the auto mechanics program at Wentworth Institute of Technology. The brothers sold their first car almost as quickly as they purchased and repaired it; afterward, they bought another, then another, and kept on going, one car at a time. By 1977, with an inventory of five vehicles, they rented a lot on Acton Street where they still operate, built an office the size of a Fotomat hut, and hung the hand-carved-and-painted “Christmas Motors” sign, made by their brother Peter, near the road. For a decade they struggled, depending on word-of-mouth to draw customers from across town and around the region; but eventually, thanks to the Internet and online reviews, people began to travel, some from as far away as California, Bermuda, and Ghana, to buy their cars. In the late 1980s, as his job in high tech was being phased out, a third brother, Peter, joined the company as a weekend salesman. By 1988, he was selling cars full time and was later promoted to general manager. Bob, who serves as treasurer, moved to a role behind the scenes. Today, the dealership sells 40 cars a month, employs about a dozen people, and enjoys relationships with customers that go back years. “It evolved,” says David, who, in 1997, put on a pair of sneakers and rode in his first Pan-Mass Challenge — 192 miles from Sturbridge to Provincetown — to honor the memory of a friend who had died. Peter (right) and David Christmas chatted in the Christmas Motors office. Last year, the company’s Team Lick Cancer, one of 200 fund-raising teams, contributed $720,000 to the Pan-Mass Challenge. You don’t go into the car business if you don’t love cars. And if you’re the owner, you get your pick every day. But David’s choice of ride these days is a 2001 Dodge Stratus — dependable for commuting to Boston twice a month at 6 a.m. with his Team Lick cocaptain Scott Apgar, to donate platelets at the Kraft Family Blood Donor Center. The cocaptains have biked thousands of miles for the PMC and made a combined total of more than 300 platelet donations — a lifesaving gift of infection-fighting white blood cells for patients undergoing chemotherapy. It’s not just family and friends, however, or the fans who hold up signs along the PMC route that say, “Thank you for saving my life,” that the Christmas brothers help. Many are customers. Some are business acquaintances. One of them was me. I might have looked away, embarrassed by what slipped so easily off my tongue. But Peter Christmas, who talks about cancer with a customer at least once a week, was as steady as a rock. Then, he offered to make a call on my behalf, using his connection with the PMC; and a week later, I was sitting in the office of a top lymphoma specialist at the Dana-Farber Cancer Institute, relieved to find out that the care and diagnosis I had received had been right on the mark.